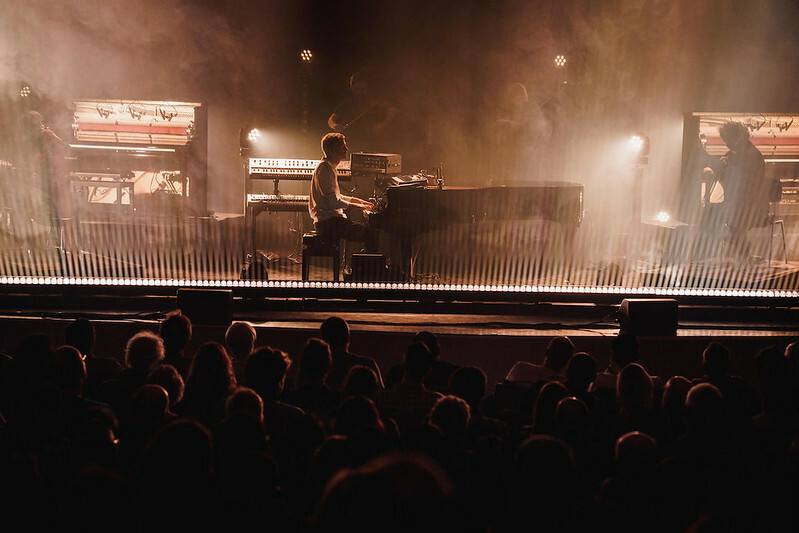 Modern maestro Ólafur Arnalds brings a generous helping of Icelandic magic to Cardiff with a dazzling 90 minute long set that is as strange as it is epic. 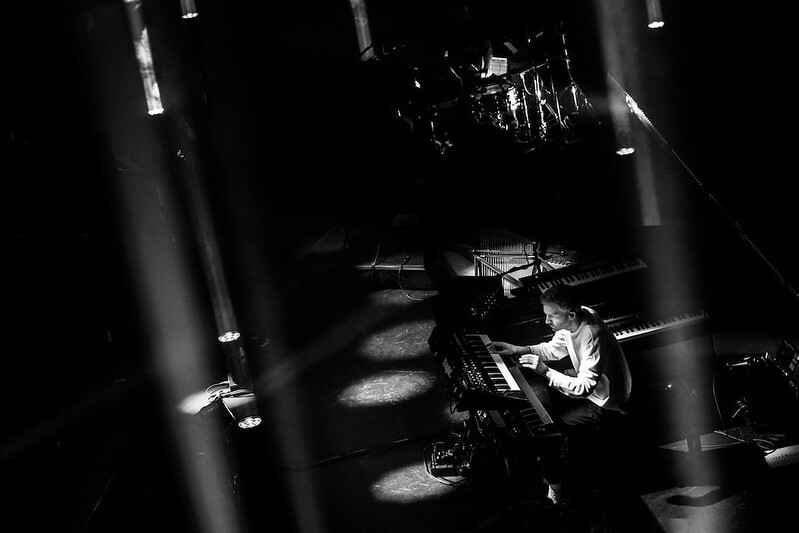 So much so, that long before he enters the stage, a bizarre hush has already befallen the audience as a pair of self-playing pianos tiptoe their way through a sequence of eerily muted notes. The silence is alien, the anticipation overwhelming. 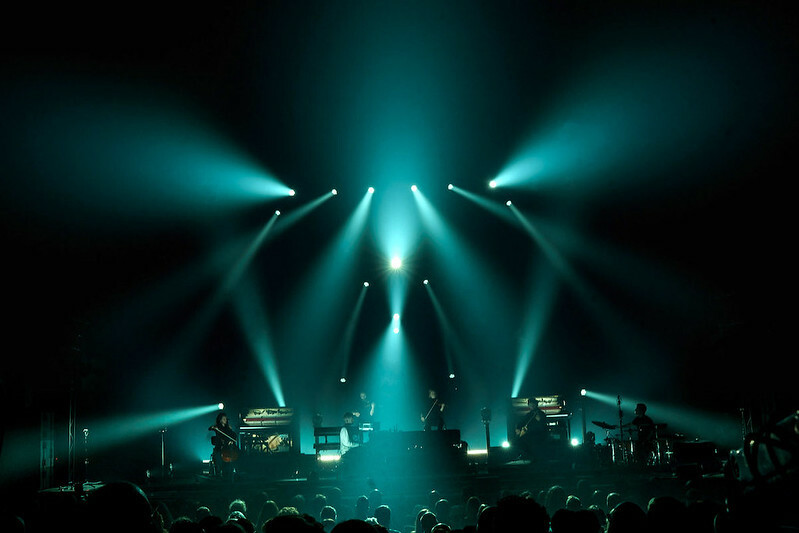 When Arnalds finally makes his presence known, a sweeping drone pervades the space. 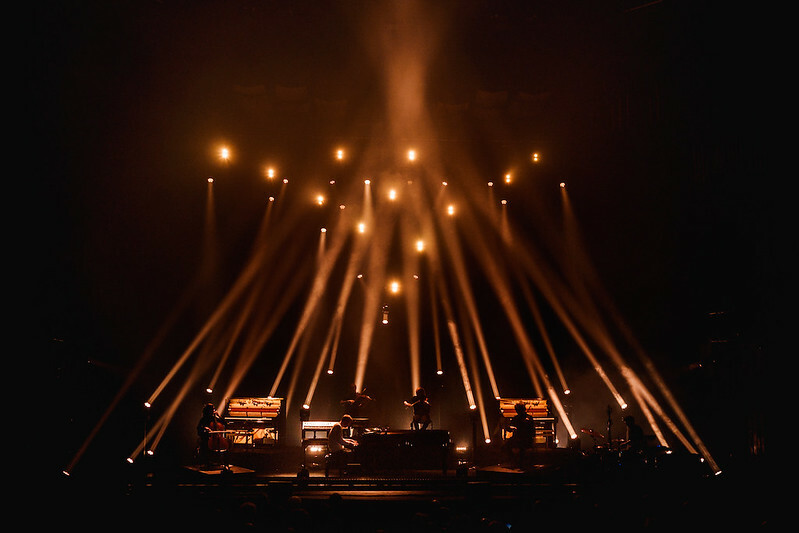 A galaxy of lights twinkle overhead as a blood red mist settles on the stage, revealing his six-strong band by way of silhouette. And so begins ‘Àrbakkinn’, an achingly sad and beautiful soundscape that marries the synth-based atmospherics of Brian Eno with the yearning symphonics of Gorecki. 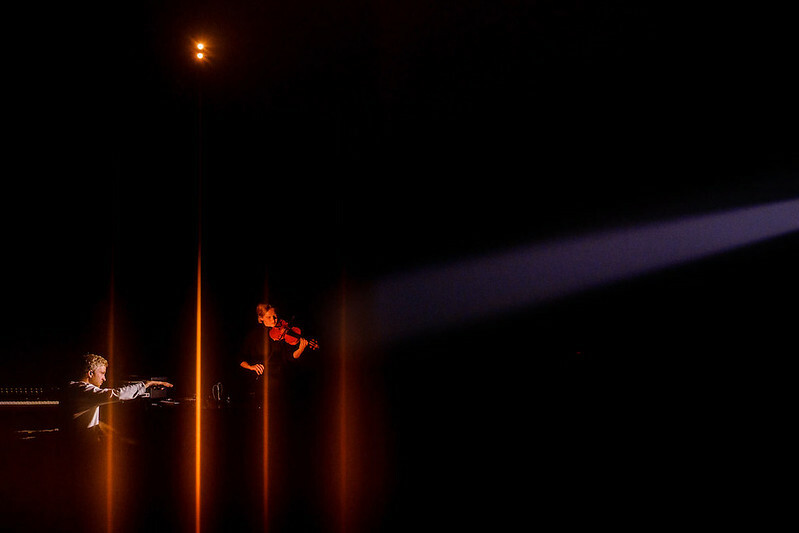 With this stunning introduction over, Arnalds turns to his audience. As mercurial as he may seem in music, the man cuts a surprisingly jocular figure with his inter-song patter. Yet the spaces between performances are still infused with his mad genius. 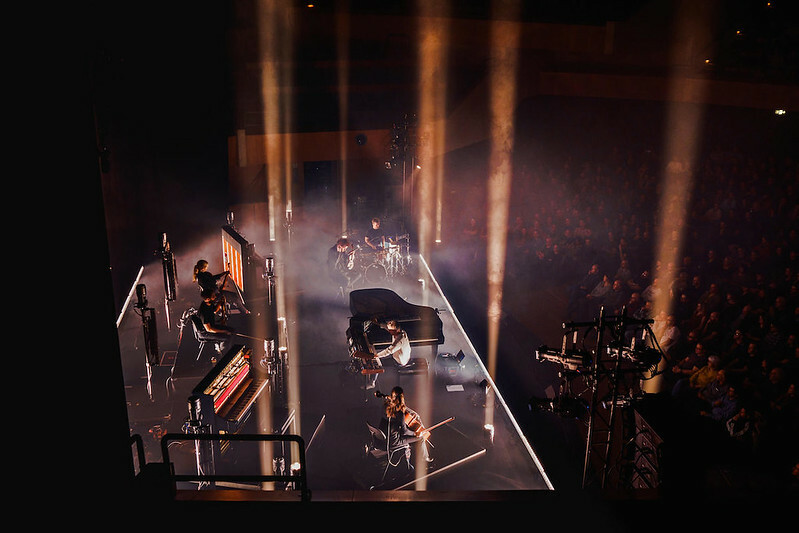 With the small talk over, Arnalds invites his audience to sing, which he duly samples and plays back as part of ‘Brot’, a sprawling phantasmagoric piece that unfurls like Sigur Rós at their most dreamy. For all the abstract layerings and complex melodics, there is plenty of primal rhythmicality to be found. ‘Re:member’ launches into some solid beat-driven alt-pop (think a handful of Cinematic Orchestra and a sprinkling of Four Tet), its crescendo bordering on heavy IDM. ‘Only The Winds’ is a pulsing tour de force of deep bass and percussion, providing a rock hard foundation for Arnald’s whirlwind piano before melting away into a softly murmuring viola solo. Likewise, ‘Happiness Does Not Wait’ and ‘3326’ are replete with a staccato energy while ‘Ekki Hugsa’ opens with elegantly woven Steve Reich-esque arpeggios before bursting into a gloriously kaleidoscopic noise of strings and beats. There is a notable symmetry to tonight’s set as the thunderous midway point evaporates into more muted affairs. ‘Nyepi’ – a track inspired by inner peace and simple living – sees Arnalds eschew his bank of keyboards and sequencers for the humble piano and a more conventional piece of songcraft. Following rapturous applause, his encore piece goes even further. ‘Lag Fyrir Ömmu’ pays tribute to Arnald’s grandmother, its stripped back arrangement eventually fading to little more than a whisper. 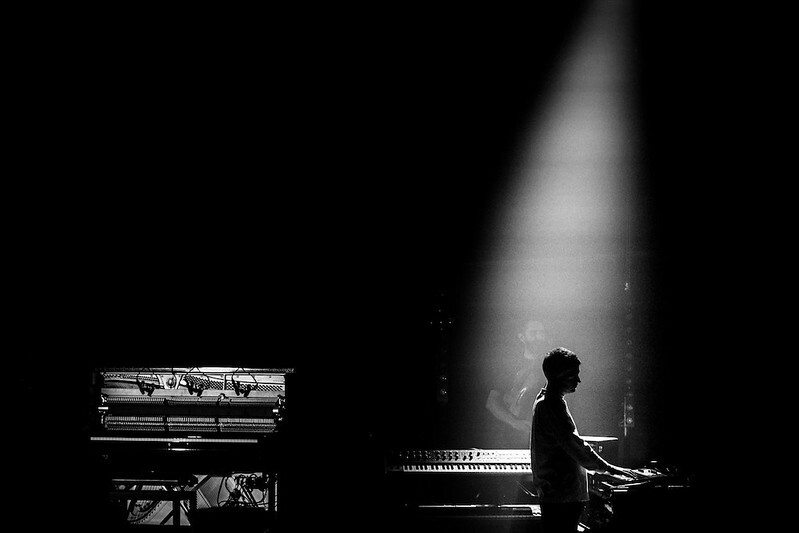 Here, Arnalds plays out his coda, barely tickling the keys for the closing notes. And so the night ends just as it began – in a dazed, surreal silence.